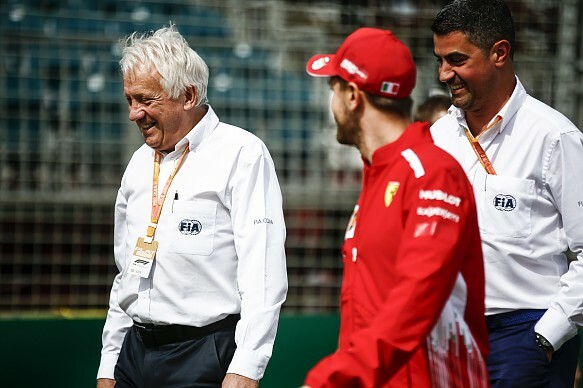 Hugely respected by several generations of drivers and team personnel, he grew from humble beginnings as a club racing mechanic to play a significant role in the development of modern F1 through the multiple functions he filled with the FIA over the decades. As well as writing the regulations Whiting was responsible for policing them. Inevitably his interpretation of technical developments or on-track incidents was often challenged, leading to many stressful situations over the decades. He remained at heart a fan of motorsport who loved to see a good race, even maintaining a huge collection of F1 programmes from down the decades. A self-confessed workaholic, he was rarely in one place for long. 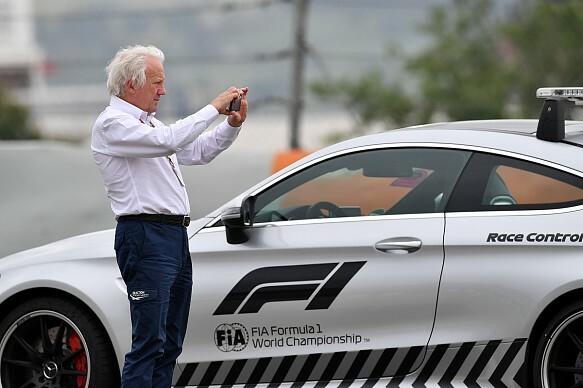 When he wasn't at grands prix he was usually to be found in FIA meetings in Paris or Geneva, carrying out safety inspections at current circuits, or visiting cities to assess potential future venues. He always had a punishing schedule, one that must have taken a toll on family life. "The travelling is not a problem, it's just keeping up with everything," he told me in an interview a decade ago. "You get questions, enquiries, technical stuff coming through all the time. If I don't pick up my email for half a day, I'm behind again. It's really that frantic. I can get a lot of work done sitting on a plane." Whiting's first involvement in motorsport came through older brother Nick, who competed in autocross before becoming a big name on the British circuit racing scene. "We lived about a mile from Brands Hatch," Charlie recalled. "And I would sneak through the woods and under the fence to watch. I think the first grand prix I saw was in 1964, the first one at Brands, when I would have been 12. "Later I used to come home from school and go to work for Nick in his garage at night, and when he went racing I helped him build and prepare the cars. He started in autocross in 1968, and in '71 he started circuit racing. He won a few championships in Special Saloons, when his biggest rival was Gerry Marshall. Good days!" Whiting decided that cars would be his career: "I went to technical college and then to Borough Polytechnic - it's now called South Bank University - and got various qualifications in mechanical engineering. Much to my mother's disgust I went to work in a garage. She wasn't very happy about that." Whiting's first brush with F1 came when he worked on the Surtees TS16 that his brother entered for Divina Galica in the 1976 Shellsport series, and which the former skier failed to qualify for that year's British GP. Out of a job, Whiting soon found a new home at Bernie Ecclestone's Brabham team - whose designer Gordon Murray was always pushing the envelope, and had just developed the BT46B fan car. "I don't remember who suggested I approach Brabham. I went down for an interview with Herbie [Blash], and got a job on the test team. I did one test in Austria, then someone left and I was co-opted onto the race team from Paul Ricard onwards. "That year I was working on the T-car, and then in 1979 I was working on Niki [Lauda]'s car, and in 1980, Nelson [Piquet]'s. I became chief mechanic in '81." 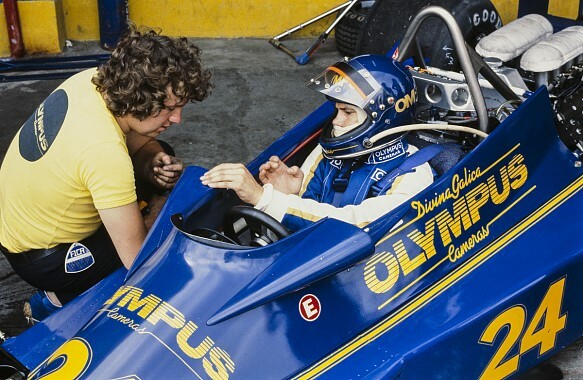 In that role Whiting would oversee Piquet's world championship victories in 1981 and '83. It was a fabulous era for F1 and Brabham was very much the maverick team, pulling off tricks like fitting heavier bodywork for post-session weight checks, and introducing refuelling and planned tyre changes in '82. "Things have become far more complex. Things that were going on then were very crude by comparison. Everyone was naive. The measures to stop us putting a heavier rear wing on weren't exactly sophisticated! Certainly it put me in good stead for the first few years of my current job." Murray, Blash and Whiting were the key players in a close-knit team that didn't take itself too seriously: "Gordon was such a laidback sort of person, and that rubbed off on everybody else. That's where it came from I suppose, the silly little things we did, the jokes we had and stuff like that, because we could, as Gordon encouraged it. "Obviously Bernie had a reputation in those days for getting quite cross from time to time, and he'd come out into the factory and have a bit of a rant about something he didn't like. "At the end of the day he's a perfectionist, and he wanted everything to be exactly right. When you look at the Brabham factory and the sort of things Bernie started, you can see he was right. It really was state of the art, and he made sure it was kept like that." In 1986 the team suffered the tragic loss of Elio de Angelis in a testing crash at Paul Ricard. It hit Whiting hard, and influenced his later focus on safety matters: "That was tragic in that he wasn't injured. There were only about four gallons of petrol in the car, but unfortunately he tipped over, the petrol came out, it caught fire and there was no one there to put it out." Distracted by running the F1 business, Ecclestone sold Brabham in 1987 and the following year the team didn't take part in the world championship. Rather than move to another team Whiting - who had latterly held the title of chief engineer - took the unusual step of joining the FIA. "It was Bernie's idea. He always thought that no one there knew what they were doing. He said, 'Why don't you go and work there?' At his request I went over to Paris, and had a chat with Yvon Leon, who was the secretary general under Jean Marie Balestre. "And we agreed that I would go along as part of the technical team in 1988. Initially I worked with Gabriele Cadringher, who was the technical delegate, and in 1990 I got that job. When Max [Mosley] became president in 1991 he asked me to take a more formal role, because prior to that I was mixing it between FIA and Bernie, and he wanted me to be 100% FIA." Whiting admitted that initially he struggled to adapt to his role of poacher turned gamekeeper: "It was very strange indeed. I couldn't get my head around it at the beginning, but I got used to it. Quite a lot of teams were rather sceptical, and thought I was gathering information for Bernie to make a comeback. "And that carried on the next year. 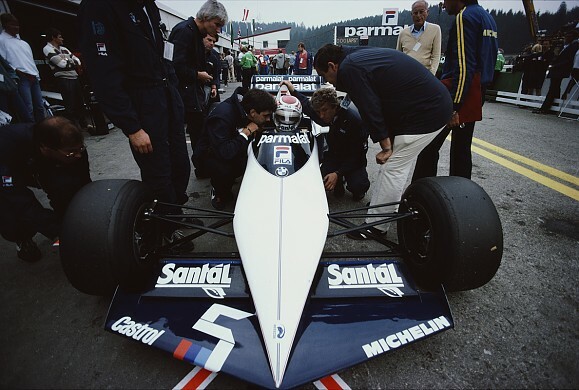 Brabham did come back in 1989, and any time I was in the garage - sealing an engine for example - people assumed I had gone back to do a little bit of work for them part time!" In 1994 Whiting was deeply involved in the aftermath of the Ayrton Senna and Roland Ratzenberger fatalities at Imola, as well as the other accidents that blighted that season. 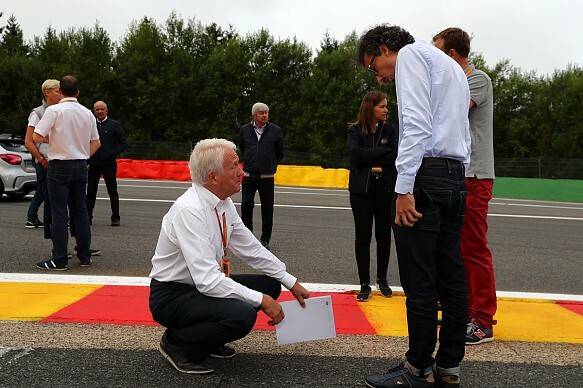 It was a difficult time for all involved in the FIA that included some knee-jerk reactions, including changes to circuits - although at the time tracks were not Whiting's responsibility. "To be absolutely honest if one looks back with a rational mind, after Imola 1994 some rather odd things happened. The chicanes in Barcelona and Canada are two that spring to mind. I'd like to think that wouldn't happen these days. "If there was - heaven forbid - an accident of similar impact should we say, then we would look at it and try and analyse it properly. Although Imola was a very black weekend for the sport, when you looked at everything in isolation there was no one element you could put your finger on and say, 'Ah, this is what's gone wrong with F1'. "I don't know what, if any, political pressure there was to make lots of changes, but it just seemed to be that some unnecessary things were done. 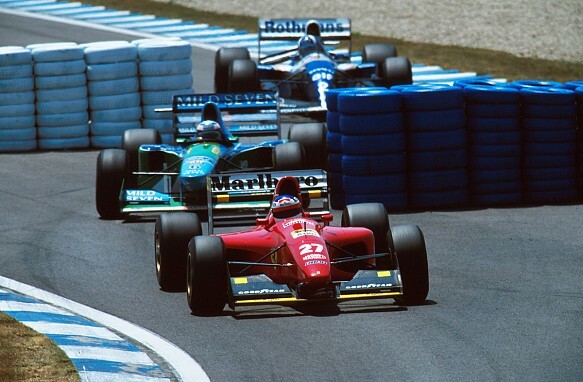 In my personal opinion that chicane in Barcelona was potentially dangerous." In subsequent years Whiting's role gradually expanded. 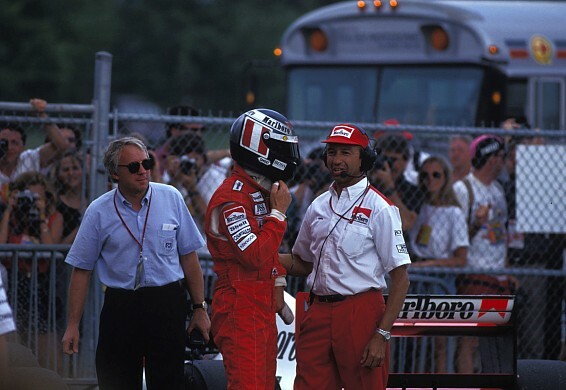 In 1996 the race starter role became what would remain his most high profile job, and it was quickly followed by promotion to both race director and safety delegate, and responsibility for circuits. "Roland Bruynseraede, who had been safety delegate, starter and race director, left or didn't get the job for 1996. Max decided that Roger Lane-Nott would be a good bet for the race director's role. We were left with no-one to start the races, so I volunteered, and I've done it ever since. "Everyone agrees that Roger tried hard, but he just didn't gel with the whole thing. In Monza in 1996 Max said to me that he was not particularly happy with the way things were going, and would I like to do it? I jumped at the chance. I'd be lying if I said that I hadn't had my eye on that job for a while." 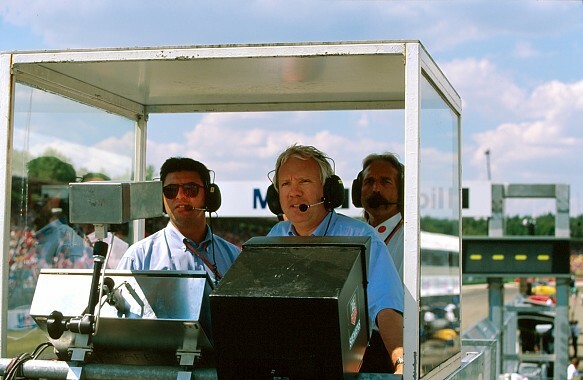 Whiting would run race control for over two decades, and for most of that time he worked closely with his long time friend and former Brabham colleague Blash, who held the title of deputy race director. His roles extended far beyond overseeing race weekends. He wrote both the sporting and technical regulations, and along with Sid Watkins he played a key role in the FIA's push for safety that began after the Imola tragedies, and that has continued ever since. He faced many difficult moments, notably the deaths of track officials Paolo Gislimberti at Monza in 2000, and Graham Beveridge in Melbourne in '01. Jules Bianchi's Suzuka accident in 2014 - which led to the Frenchman's death the following year - was another tough test for the man who was ultimately responsible for safety. Under Jean Todt's stewardship there were many changes at the FIA. Blash left his job at the end of 2016, and it says a lot for the respect in which Whiting was held - and the sheer breadth of his responsibilities - that he continued in his senior role. He was almost impossible to replace, and no one man could fill his shoes. Attempts to plan a succession faltered when Marcin Budkowski and Laurent Mekies, who both had spells working with Whiting and were in effect being trained to eventually take over, moved to high profile jobs with the Renault and Ferrari teams respectively. "I don't feel any different to how I was 20 years ago," he said. "That's the worrying thing! I think probably I'll carry on until I get told to go, I suppose. I would have thought that you wouldn't want to be doing all this stuff beyond 65, really. 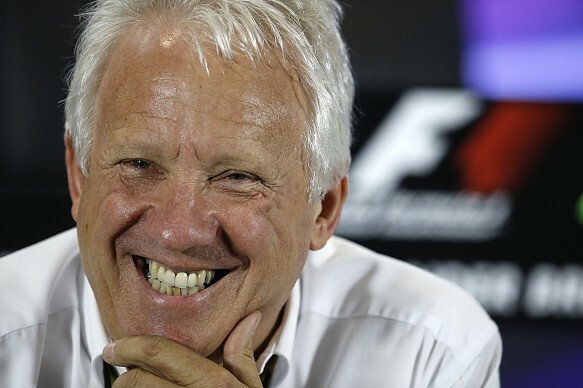 "Apart from anything else all the drivers are so young, and although I don't feel old, they probably look at me now and say, 'Silly old fool, he doesn't know what he's talking about, he's out of touch.' I've seen 75-year-old people holding senior positions, and I must admit I've thought they've been a little bit past their sell-by. I hope I never get thought of like that!"